As a parent you know that bath time is precious - but did you know that after every bath a baby's skin can lose moisture up to 5 times faster than yours? That's why our Baby Dove Rich Moisture Head to Toe Wash is formulated with the Dove difference. The formula is pH neutral and goes beyond mildness by helping to replenish important nutrients which help skin retain its natural moisture. 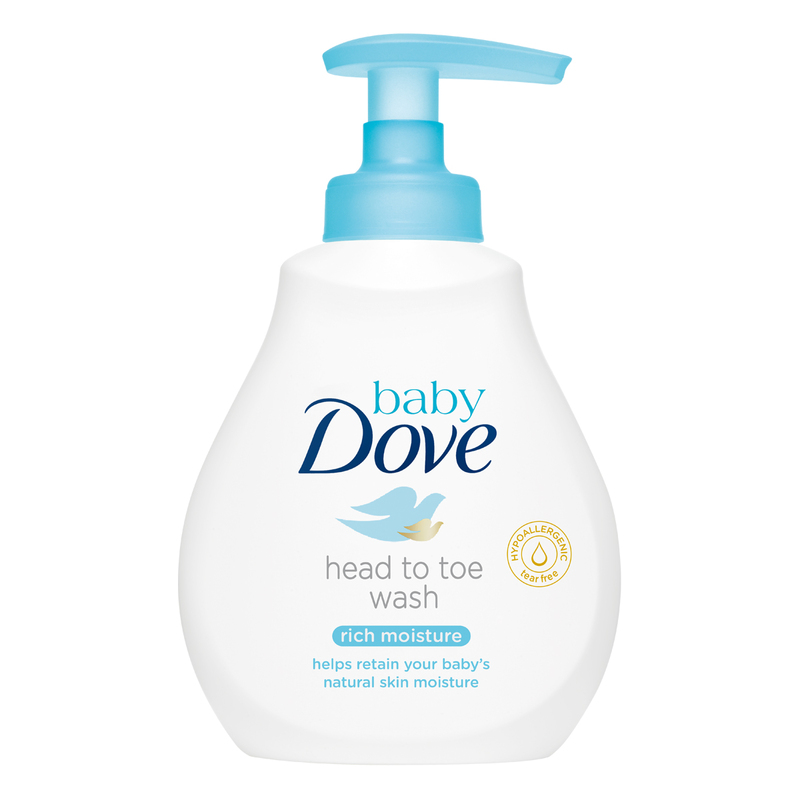 With its rich and creamy lather, Baby Dove Rich Moisture Head to Toe Wash leaves baby’s skin feeling clean, soft and delicately scented. Wet baby’s head and skin with warm water and wash gently with hands or wash cloth. Follow with Baby Dove Rich Moisture Lotion to lock in moisture all day.